The “Land of Pagodas” she is sometimes called. 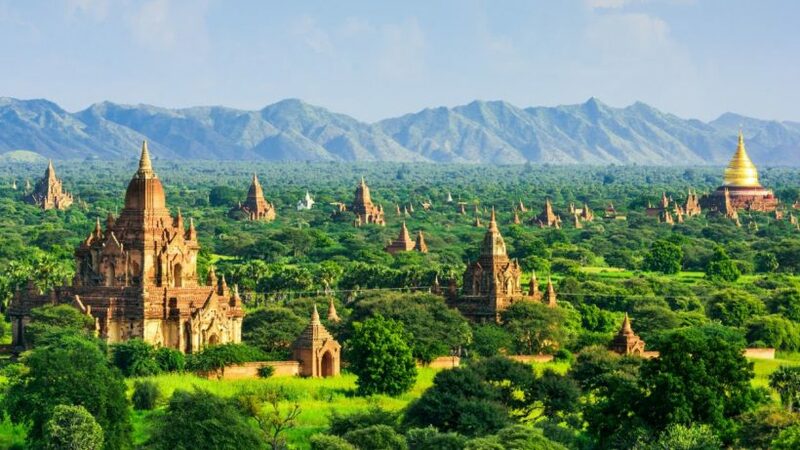 But Myanmar has more than just pagodas to delight the traveller. 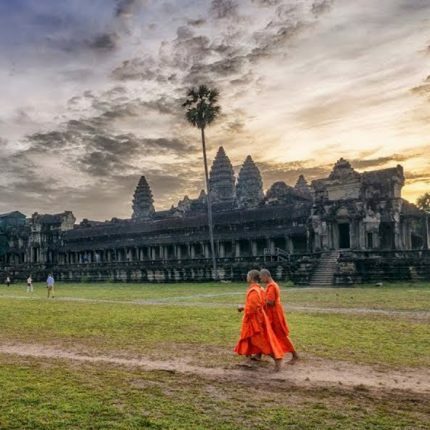 This historic wonderland has just about everything that makes for a memorable cultural experience: colourful bazaars, classic handicrafts, magnificent pagodas and stupas, traditional tribes, exquisite gems, enchanting festivals and dances that bring to life the legends of old- a world of Golden Sights. 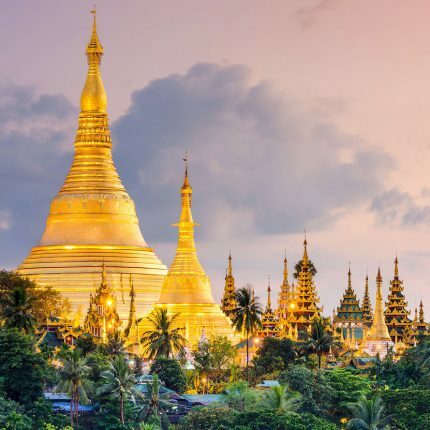 Destination: Mandalay – Amarapura – Ava – Mingun – Yangon. Meet with our guide at the airport and transfer to the hotel for check-in. After lunch, the first visit is to the famed MAHAMUNI PAGODAwhichhouses a Buddha images that said to have the exact likeness of the Gautama Buddha. Stop by at the nearby STONE AND WOOD CARVING WORKSHOPS where Buddha images, stone slab for inscriptions and figurines are made from wood and marbles. 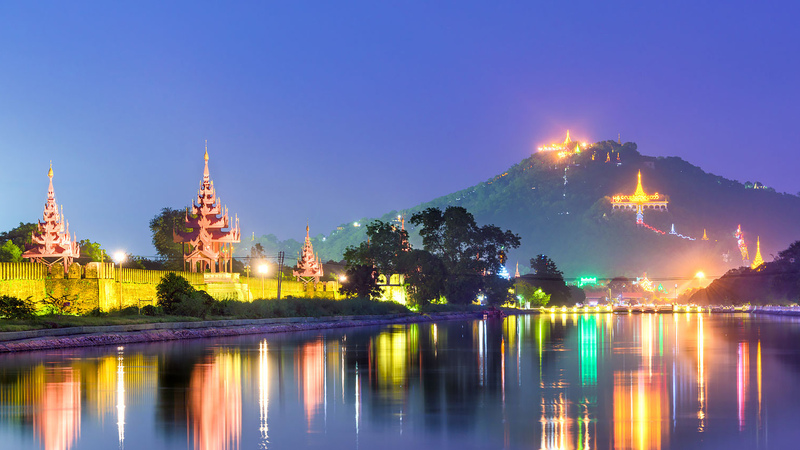 Continue to the ROYAL MANDALAY PALACE to visit Mandalay Culture Museum and Nanmyint Watchtower. Next, visit ZAY CHO MARKET and go shopping for the famous and signature products of Mandalay such as acheik (Mandalay silk longyi), Kadipar (velvet) silpers and hto moat (sticky cake). In the evening, visit SANDA MUNI PAGODA which has 1774 small white pagodas surrounding the main pagoda. Each pagoda has individual marble slabs inscribed with Buddha teaching. Climbed the MANDALAY HILL and enjoy the sunset before returning to the hotel for overnight stay in Mandalay. After an early morning breakfast, visiting the GOLD LEAF MAKING WORKSHOPS and TEPESTRY WORKSHOP. Later depart for INWA (AVA), the former royal capital. Stop en route at the TAMPAWADI VILLAGE to visit the BRONZE CASTING WORKSHOP where bells, gongs and tri gongs are made. Once arrive at Inwa, visit the BARGAYA MONSTERY which has 263 giant teak posts and decorated with carvings and reliefs. Continue to the MAHA AUNGMYA BON ZAN MONASTERY one of the finest brick building with stucco and flora decorations on the walls. Travel to AMARAPURA to visit U BEIN BRIDGE, the world longest and oldest teak bridge made of 1850 teak pillars. 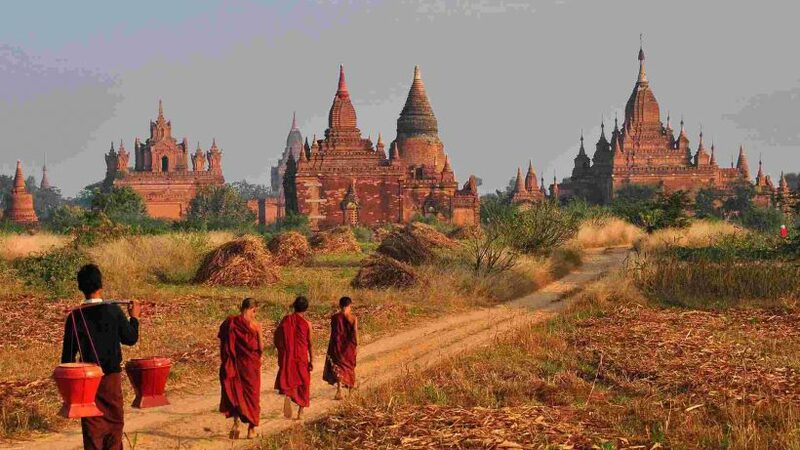 Cross the bridge to visit MAHAGANDAYON MONASTERY, the largest teaching monastery in Myanmar. Enjoy the beautiful sunset before returning to Mandalay. Afterwards, return to Mandalay and drive to Domestic Airport for take flight to Yangon. Arrive at Yangon, Transfer to hotel for check-in and overnight. 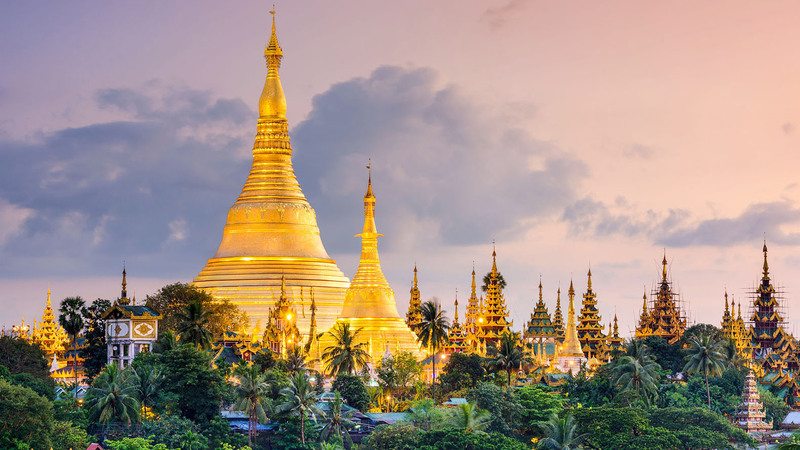 After Breakfast at the hotel, the tour will start with the visit to the famed SHWEDAGON PAGODA. This coleuses 90 meter tall stupa is the symbol of Buddhism in the country. 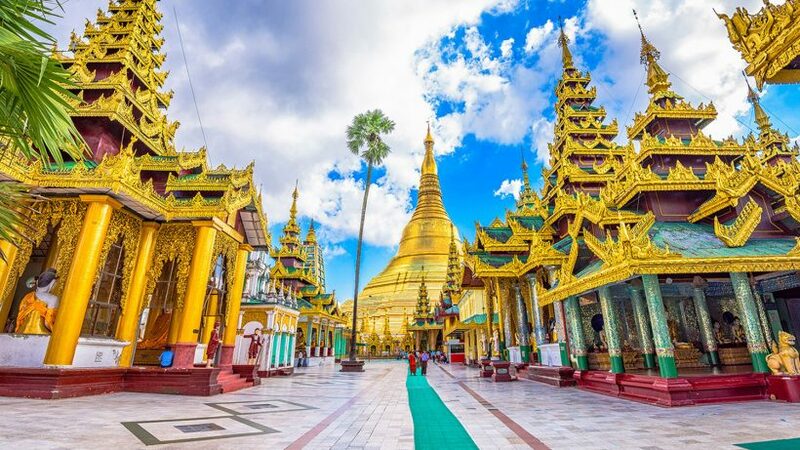 The iconic pagoda is covered with 60 tons of gold and a single 75 carat diamond graces its tip. Stop for photo at nearby KARAWEIK HALL on the KANDAWGYI LAKE. Next, visit to BOGYOKE AUNG SAN (SCOTT) market which offers antique, Burmese handicraft and jewellery shops, art galleries, and clothing stores as well as foodstuffs, garments and foreign goods. After shopping, drive to Yangon International Airport for their departure. We will be pleased to create a fully tailor-made exotic vacation with dates and itinerary customized to your personal preferences.